You are hereUnicoi Swingle Cemetery sign, East Tn. 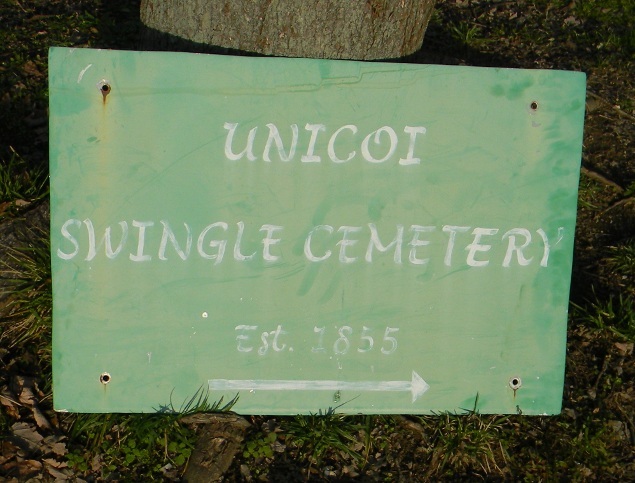 Unicoi Swingle Cemetery sign, East Tn. I was contacted about relettering a sign for a cemetery in Tennessee. 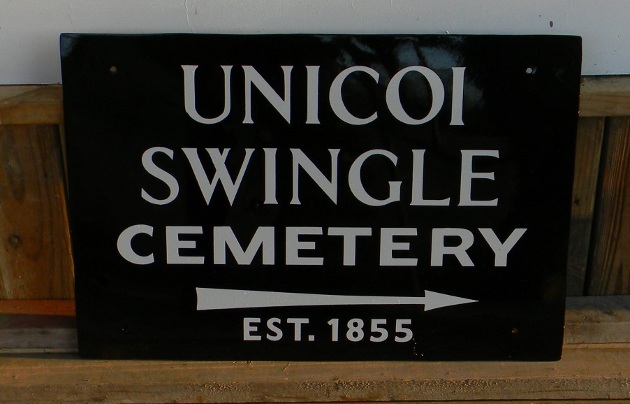 It's the Unicoi Swingle Cemetery, the sign is made of steel. Below you can see how it looked when I got it. The font is interesting; from the perspective of one who does hand lettering. It looks to be about as fast to paint as a speed stroke letter, but has more formality than most of those. Nonetheless, this letter style and green background don't seem to be in keeping with old signs I've seen here in East Tennessee; AKA State of Franklin. So I decided to paint the background black, and make the lettering more like what I think would have been used years ago. When I complete the rest of the alphabet, I'll make it available here as a vector file.